Keep in touch and follow me on Instagram, Pinterest & Facebook. 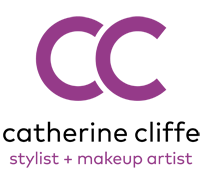 Colour & Style Analysis, Personal Shopping, Wardrobe Detox, Men’s Styling, Bridal Styling, Makeup; Bridal/ Wedding Makeup, Special Occasion Makeup & Makeup for Photoshoots & Makeup Lessons. East and West Midlands; Leicestershire, Staffordshire, Derbyshire, Warwickshire and Nottinghamshire and further afield when required. Personal Shopping is available in Birmingham, Nottingham, Leicester, Derby, Sheffield, Manchester, Leeds or other locations of your choice.